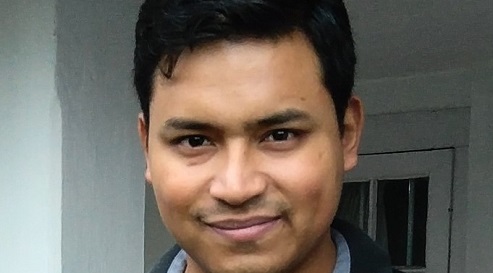 Avner Pariat, born 1986, is a Khasi-Jaintia writer from Shillong. He has contributed articles to a number of publications including Economic and Political Weekly (EPW) and Cafe Dissensus. He is a contributing editor for raiot.in an independent Indian webzine, and writes a blog From Mawlai. In 2016, he was one of the grantees under the Arts Research Fellowship awarded by the India Foundation for the Arts, Bangalore. His museological project will investigate the socio-cultural impact of the ‘khla’ (big cat) on the lives of the Khasi Jaintia people of Eastern Meghalaya. He was a finalist for the 2016 national Poetry Mail award of the Raedleaf Foundation for Poetry and Allied Arts, Hyderabad. His poems have been published the North East edition of the Neesah magazine anthology, edited by Rochelle Potkar and Nivedita N, and in the indie art publication The Baroda Pamphlet edited by V Divakar. He is interested in exploring the medium of drama and theatre writing. Avner Pariat participates in the project Poetry Connections India-Wales organized by Literature Across Frontiers and partners to mark the 70th anniversary of independent India.